Newmark’s RM-8 series rotary stage offers vacuum compatibility down to 10-7 Torr. The vacuum compatible version of the RM-8 motorized rotary stage is dimensionally the same as the standard RM-8. Every part of the stage has been modified to minimize virtual leaks and outgassing. All aluminum parts are clear iridited, bearings are lubricated with Krytox Low Vapor Pressure grease, and all wires use teflon insulation. 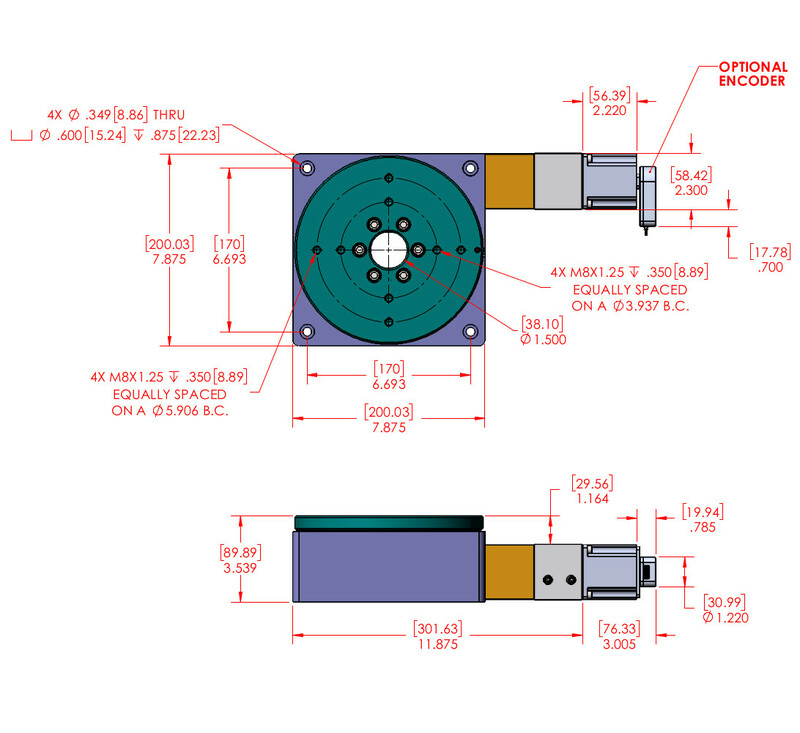 The Nema 23 stepper motor is specially designed for use in vacuum applications. The fasteners are made of stainless steel and vented if used in blind holes to eliminate virtual leaks. The RM-8 drive system utilizes a stainless steel precision ground worm and aluminum bronze worm gear. The worm gear set is preloaded to minimize backlash. All the paints and oils are removed from the motor. High temperature windings are utilized as well as Teflon leads.